The new Netflix film 'Dumplin' tackles social issues in a unique way. Has someone ever thought about doing a beauty pageant or even been in one? The pressure of looking pretty enough and showing off talents may be a little nerve-wracking. Possibly, there may even be more pressure being the daughter of the all-time pageant winner who’s running the local pageant. This situation happens to the main character in the new Netflix original film, Dumplin. 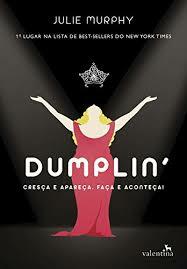 Having a strong message of self- love, Dumplin has inspired many young viewers to have a positive outlook on themselves and the world. With it being a comedy, it also has some cute romantic scenes throughout it. Based on a 2015 best selling novel by Julie Murphy, the film has an old fashioned feel, but clearly presents a modern message of accepting yourself for who you are while not caring about what others think about you. As the teenager, Willodean Dickson (Danielle Macdonald), gets a little insecure. However, she knows she can always listen to her favorite singer Dolly Parton. Parton’s music floats around the show as Willodean and her best friend, Ellen (Odeya Rush), sing along to the lyrics. They were obsessed with Parton’s music ever since becoming best friends. The story takes place in Texas with a vibe from the olden days. Growing up with a strict mom, Rosie Dickson (Jennifer Aniston), was always tough on Willodean. Being the all-time winner of a previous pageant and running the pageant, her mom has really set some very high standards. Given Willodeans weight, her mother gave her the nickname, “dumplin” even though it’s a little insulting. Willodean always disliked that nickname, but her best friend, Ellen, would tell her “It’s just a word,” which helped her look at herself differently. Willodean takes action by signing up for the beauty pageant that her mom is in charge of to prove there’s more than one type of beautiful. She soon develops a crush on one of her co-workers while she continues to forge ahead with a plan to show the pageant world that anyone can have a swimsuit body. Willodean thinks her crush is out of her league, so she remarks,“Boys don’t date girls like me.” to her best friend. However, no one is more shocked when the guy she likes has feelings for her as well. With her crush by her side to help her boose her confidenence, Willodean soon enters the pageant to prove a valuable point. She wants to show the world that beauty pageants aren’t just for the stereotypical, beautiful girl, but rather for every type of body out there. In addition to that, her glowing performance really helps Willodean show her true side of herself. Overall, I really felt inspired by the message about believing in yourself and not worrying about what others think. This movie had some very positive comments and was very popular on Netflix. After watching it once, I think I could even sit down again to enjoy this funny but yet amazing love story. In the end, if someone really wants to win a pageant, just make sure that your act doesn’t get disqualified.